Award in 1947, tells the story of a son, home from the war, who learns that his brother's death was due to defective airplane parts turned out by their profiteering father. Death of a Salesman (1949), Miller's experimental yet classical American tragedy, received both the Pulitzer Prize and the New York Drama Critics Circle Award in 1949. It is a poignant statement of a man facing himself and his failure. 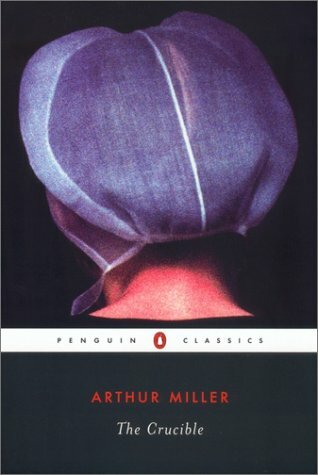 In The Crucible (1953), a play about bigotry in the Salem witchcraft trials of 1692, Miller brings into focus the social tragedy of a society gone mad, as well as the agony of a heroic individual. The play was generally considered to be a comment on the McCarthyism of its time. Miller himself appeared before the Congressional Un-American Activities Committee and steadfastly refused to involve his friends and associates when questioned about them. His screenplay for The Misfits (1961), from his short story, was written for his second wife, actress Marilyn Monroe (see Vol. 3); After the Fall (1964) has clear autobiographical overtones and involves the story of this ill-fated marriage as well as further dealing with Miller's experiences with McCarthyism. In the one-act Incident at Vichy (1964), a group of men are picked off the streets one morning during the Nazi occupation of France. The Price (1968) is a psychological drama concerning two brothers, one a police officer, one a wealthy surgeon, whose long-standing conflict is explored over the disposal of their father's furniture. The Creation of the World and Other Business (1973) is a retelling of the story of Genesis, attempted as a comedy. The American Clock (1980) explores the impact of the Depression on the nation and its individual citizens. Among Miller's most recent works is Danger: Memory! (1987), a study of two elderly friends. During the 1980s, almost all of Miller's plays were given major British revivals, and the playwright's work has been more popular in Britain than in the United States of late. Miller died of heart failure after a battle against cancer, pneumonia and congestive heart disease at his home in Roxbury, Connecticut. He was 89 years old.